Are dogs / pets allowed? Unfortunately, dogs / pets are not permitted in the Festival with the exception of credentialed service-trained animals. Where do I park? Are there Shuttles? Is there Accessible Parking? Please see our Parking and Shuttles page for more information on parking, directions and shuttles. May I ride my bicycle at the Festival? No bicycles, skateboards, roller blades or roller skates are allowed in the Festival area. Bike racks are located at the East side of the park. Bring a group of friends or family and have fun! Yes, ATMs are located on the North side of The Bandshell. 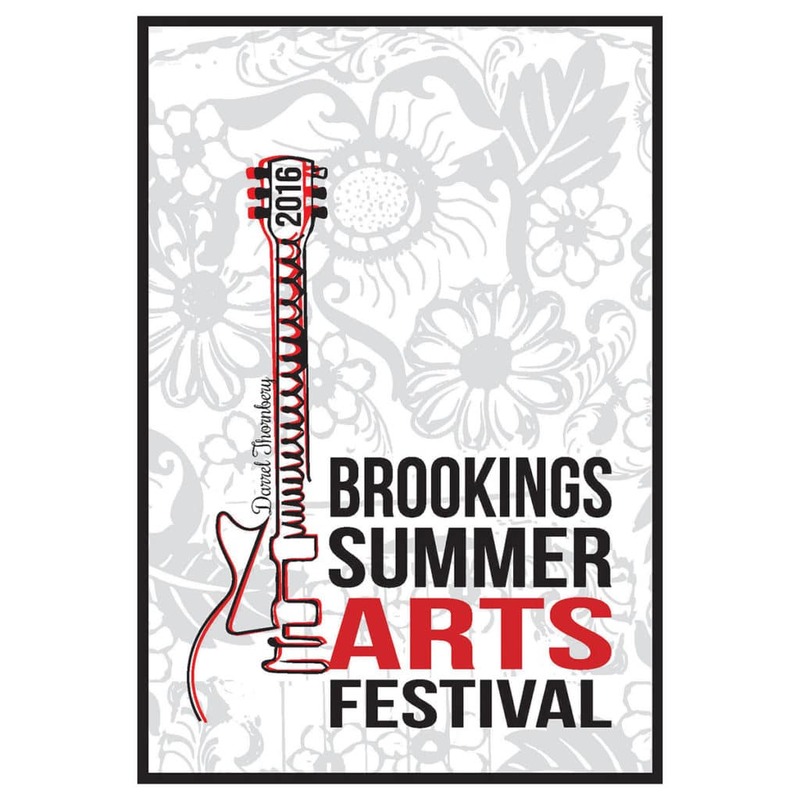 Yes, from smoked turkey legs to hot fresh donuts, kettle corn, gelato and more, the Brookings Summer Arts Festival has a large variety of food vendors. What if I get separated from my child or parent? Lost children (and parents) will be escorted or directed to the Safety and Security Station located North of The Bandshell, behind the Public Restroom Building. How can I find a specific artist? Visit our Information Booths, located at the North and South entrances to the park, for the BSAF Program and answers to questions about our festival. During the weekend of the festival, Lost and Found will be located at the North Information Booth. 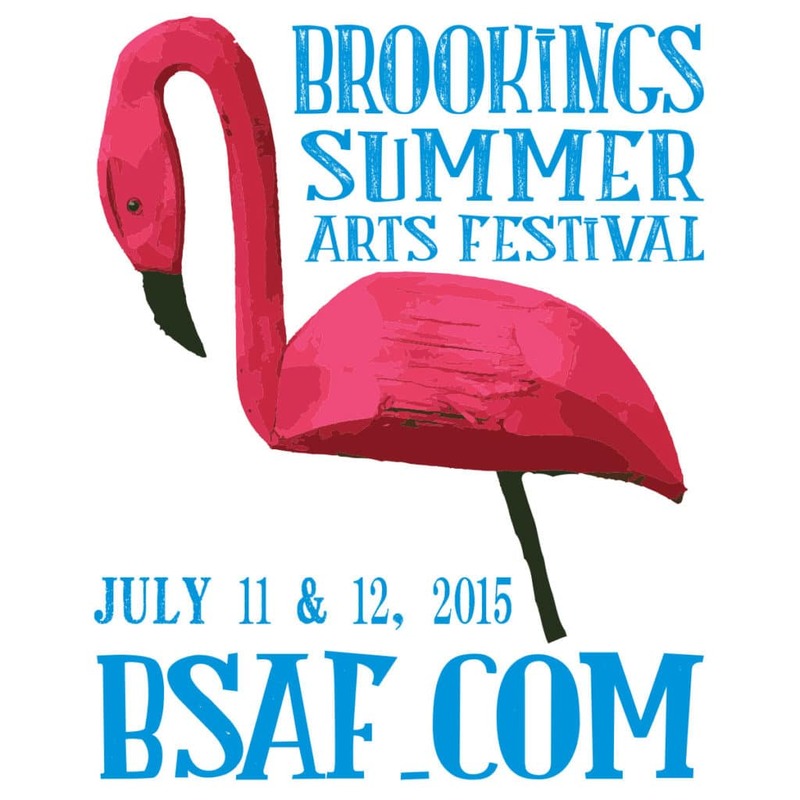 After the event please feel free to email us at generalinfo@bsaf.com or call the BSAF at 605-692-2787. Is First Aid available at the Festival? The Public Restroom Building, with a family restroom, is located North of the Bandshell. Portable toilets are available throughout the Festival area. The Brookings Area MOPS tent, located in the Children’s Area, provides a private area for parents of infants and includes a changing station and rocking chairs. Artist and Food Vendor Applications are available by mail and on the bsaf website at the beginning of January. Application deadline is March 1. I have a question that wasn’t answered here! What do I do? If there is anything that we missed and you have a question, email generalinfo@bsaf.com or call the BSAF at 605-692-2787.